It was only a few days ago that Dustin Kensrue tweeted that next week he will be releasing a new Christmas EP, Lowborn King, under the guise of The Modern Post. The EP was recorded with Mars Hill Music earlier this year before Kensrue had resigned from that church, so I was pleased to discover that the EP will indeed see the light of day. Lowborn King sounds like an extension of Kensrue’s album of last year, The Water and the Blood, although with a bold Christmas edge. There are only five tracks on this EP but each has been crafted carefully. This is no money-grabbing Christmas release, but rather one that invokes joy and praise for Christ the Lowborn King. Let All Mortal Flesh Keep Silence is a song that The Modern Post have adapted from an ancient chant based on Habakkuk 2:20: ‘But the Lord is in His holy temple; let everyone on earth be silent in His presence.’ The song is about stopping to take notice of who Jesus is and praising God that the Saviour of the world is here: ‘Alleluia – the Christ has come! Alleluia – the Holy One!’ The arrangement mixes bassy synths with electric guitars, and there are clever dynamic shifts. The EP ends with Kensrue’s song This is War. It originally featured on his 2008 Christmas release This Good Night is Still Everywhere, but this is a new version that is quite different to the acoustic-strong original, with a bonus new chorus thrown in too. This arrangement is brash, brassy and loud, with clicky loopy beats and glitches underneath. The words paint the nativity scene but expand the picture of Jesus, stating that he will restore the throne of David, and that he is the rescue Israel is waiting for. It’s a Christmas song that you wouldn’t expect. That we can hear and have this new EP from The Modern Post is a real blessing. This is a Christmas EP with a difference. It might not be as bright and brassy as others (Citizens’ Repeat the Sounding Joy, for example) but the words shine bright as The Modern Post marvel at the first Christmas and all that the incarnation means for us sinful, helpless humans in need of rescue. Fans of Thrice and Dustin Kensrue’s work will adore this. Add this to your Christmas collection. I’m giving it four-and-a-half stars. 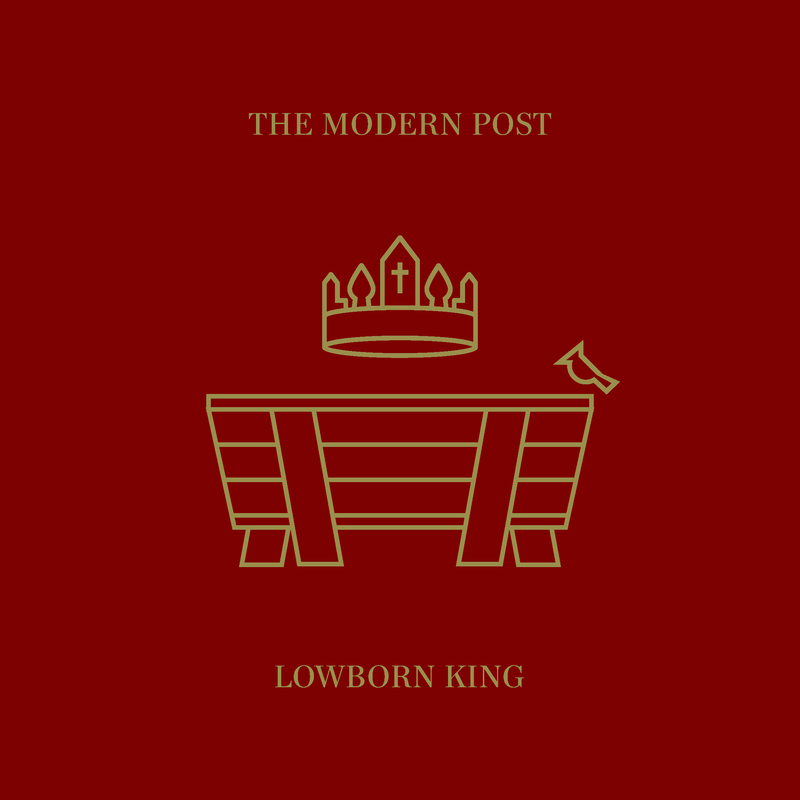 Lowborn King by The Modern Post will be released this Monday, 24th November and can be pre-ordered on iTunes. Keep an eye out for our interview with Dustin Kensrue about the EP in the coming weeks. Posted in MusicTagged Album Review, christian, Christmas, Dustin Kensrue, Lowborn King, The Modern PostBookmark the permalink.